At Reitmans we believe that every woman is beautiful in her own way, whatever her shape, personality, and lifestyle. We believe fashion should be tailored to the woman so that she looks and feels beautiful. In the early 1900s, Herman and Sarah Reitman ran a small department store in Montreal. 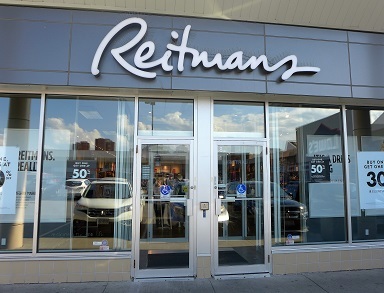 The Reitmans Company was founded after a second store opened in 1926. Today, the Company operates over 950 stores throughout Canada. We carry casual and business clothing for women and a small selection of footwear, and accessories such as scarves, belts, and jewellery. Shop online at www.reitmans. com.